One often reads about mermaids of the sea, but what of the freshwater mermaids? Here is one that lives in a lake high in the mountains. 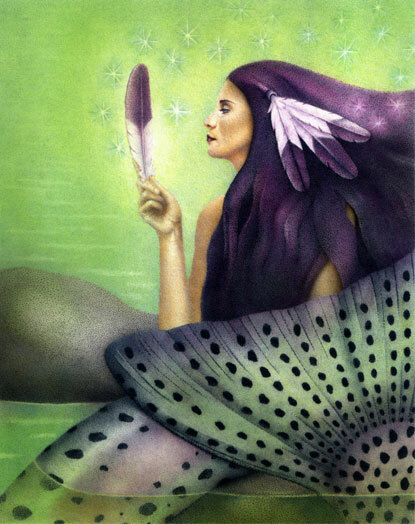 The original illustration is approximately 7.5"x9.5" and was created with airbrush, pen and ink, and colored pencil.